What is the difference between a financial durable power of attorney and a durable health care power of attorney? If I have a power of attorney, can I still make my own financial decisions? What happens if my proxy doesn’t follow my instructions? These and many more questions can be answered by our skilled estate planning attorneys. No matter your situation, we encourage you to contact our office and schedule a consultation with one of our experienced lawyers. 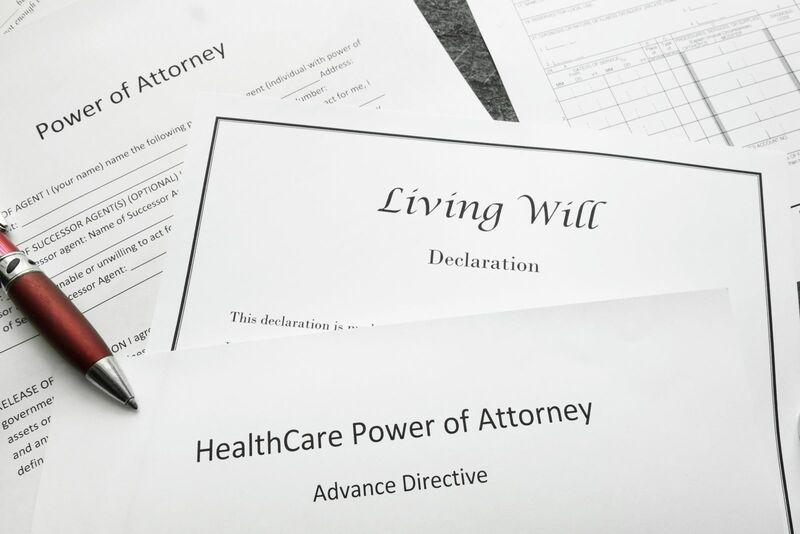 A living will is a written document directing doctors, lawyers, spiritual leaders, and family members to follow the directions of the individual creating the document regarding his or her healthcare wishes. This document directs others to take certain actions, but unlike a power of attorney, it names no specific individual to make decisions to implement the wishes of the maker of the living will. A power of attorney is a legal instrument giving legal authority to another individual. This document is typically used in the event that an individual ever becomes medically incapacitated or otherwise unable to make legal, medical, or financial decisions. An individual called an agent or a proxy is assigned to make decisions on the incapacitated person’s behalf. Powers of attorney can assign broad or narrowly designated authority on an agent. Healthcare powers of attorney require that two medical doctors, or a medical doctor and a licensed psychologist, certify in writing that the maker can’t participate in his or her own medical-related decisions, in order for the designated party to take over making medical decisions. Even with all the information available on the Internet or at your local library, it is still wise to contact a skilled attorney for help. An experienced lawyer can carefully examine your finances and your unique situation and tailor a power of attorney document to specifically meet your needs, including gifting authority, the power to create trusts, and when the document becomes effective. If you have questions regarding durable powers of attorney in Michigan, we encourage you to contact Barberi Law. If you would like to schedule a consultation to discuss your specific situation, call (989) 546-7124, or complete our online contact form.